Provides stable platform while in use and easily flips over and out of the way. Double hinge design positions tray down and out of the way. Tray cutout fits around wheel. 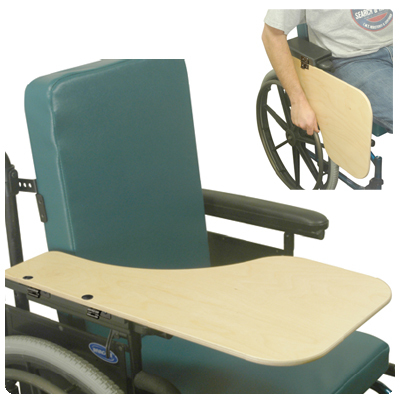 The wheelchair Woodgrain Flip Down Half Tray is made of 3/8 inch thick 7-ply natural birch with a wood grain melamine laminate top layer with a clear lacquer finish. The 9 inch long adjustable height bracket mounts on the armrest of the wheelchair. This pre-installed bracket adjusts to different arm rest pad heights, up to 1 1/2 inches high and 2 1/2 inches wide. When the tray is positioned down, it will clear most wheelchair wheels so the user can self propel without removing the tray. 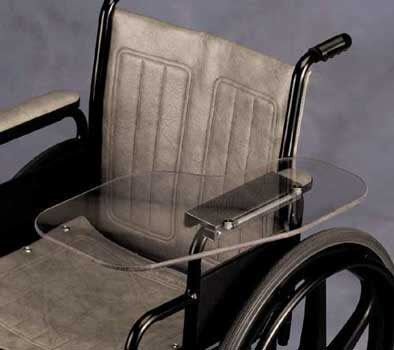 With the tray out of the way, the wheelchair can be positioned at a table. 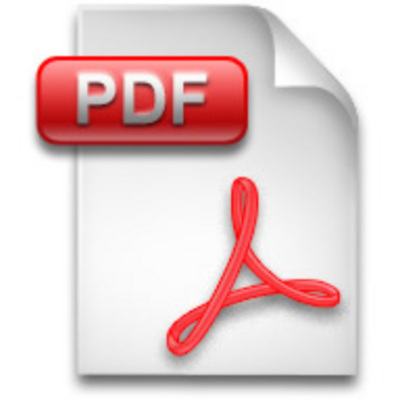 Tray measures: 22 1/4 inches long and 13 3/8 inches wide overall. Materials: 3/8 inch thick 7 ply birch with woodgrain melamine laminate top layer. Attachment: Pre-installed adjustable height flip down bracket. Choose: left or right side. A: The 9 inch long adjustable height bracket mounts on the armrest of the wheelchair. This pre-installed bracket adjusts to different arm rest pad heights, up to 1 1/2 inches high and 2 1/2 inches wide. A: It should as long as the arm rest of the wheelchair is within the range for the bracket. The bracket fits arm rest pad heights, up to 1 1/2 inches high and 2 1/2 inches wide.